Click twice on the REFRESH symbol to see the latest changes. 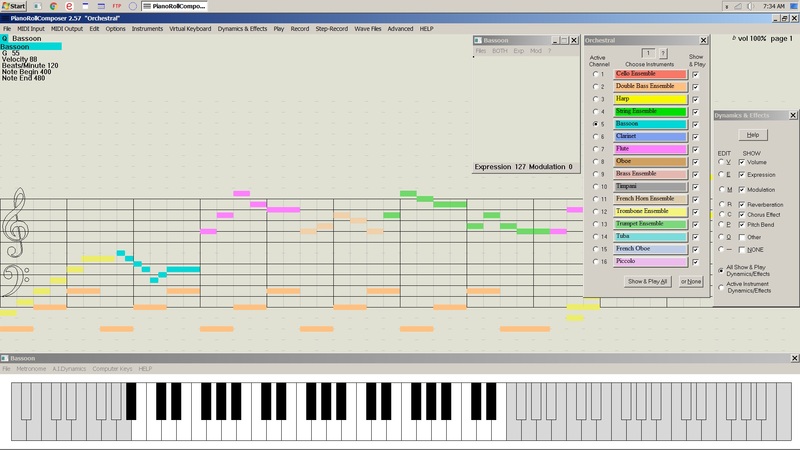 PianoRollComposer 2.58 is a MIDI Sequencer/simple DAW for composing, recording, and playing music. It uses Windows sounds, SoundFonts, or VST plug-ins to play MIDI music. Displays notes in piano-roll format; music looks exactly as it sounds. Displays up to 16 different instruments together on standard bass/treble staffs (or 576 using VST plug-ins). Plays and displays any MIDI music; music created with it can be played by any MIDI player. Notes can be entered and edited on the staffs, or recorded using the Virtual Keyboard or a MIDI keyboard. Plays and records up to 18 instruments together (virtual split keyboard) to orchestrate an exact sound. A MIDI keyboard can be used together with the Virtual Keyboard. Step-recording works well with the virtual split keyboard. Dynamics can be added as you record. Record to and play Wave files; edit and merge Wave files. See your voice's pitch on the staffs while creating a Wave file. Add lyrics to the music. 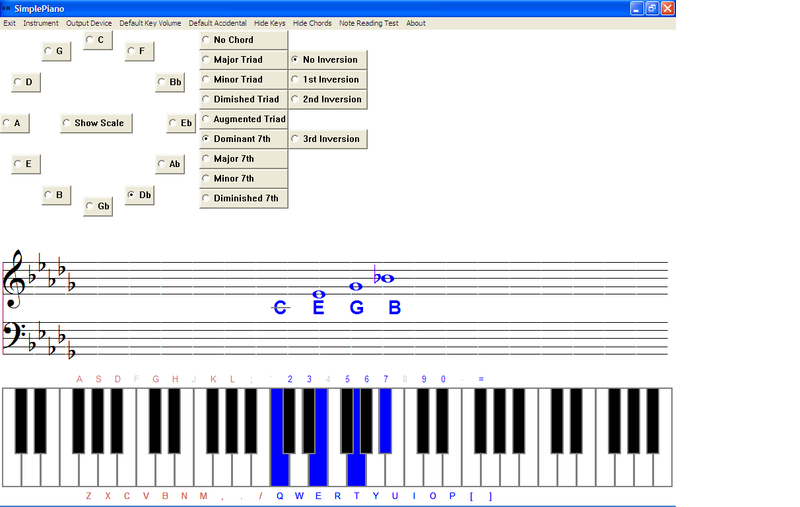 SimplePiano 1.17 is an aid for anyone learning to play piano and read music. It shows the notes played on the treble and bass clef staffs. The notes played are also highlighted on a 60-key on-screen piano keyboard. You can play it using the keyboard, the mouse, or a MIDI keyboard. The Circle of Fifths can be displayed, and when a key in it is selected, that key's signature is shown on the staffs. Any of the eight most-used chords can be selected and played by playing the chord's root key. Chord inversions can also be selected. A random note reading exercise is included. 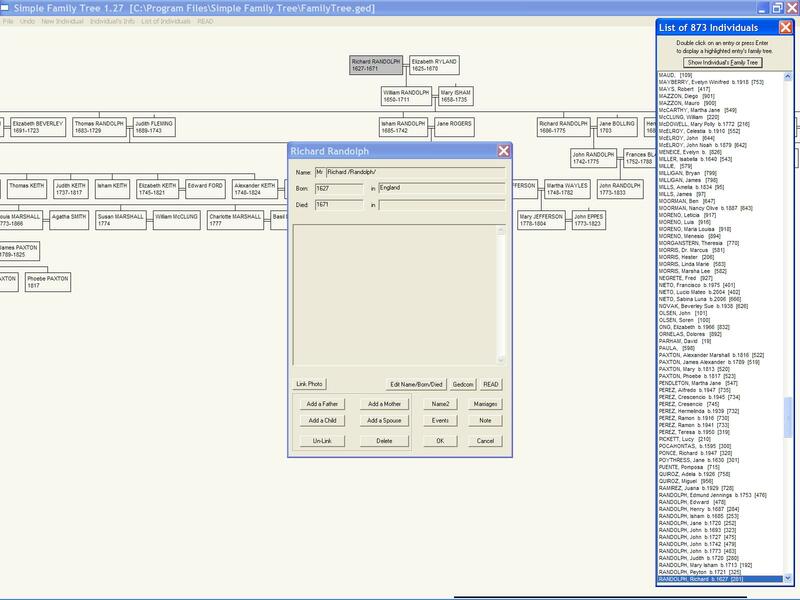 Simple Family Tree 1.32 enables you to create, view, and edit a family tree quickly and easily. It displays ancestors and descendants of any selected individual. You can add New Individual, Spouse, Child, Father, or Mother. You can enter marriage details, a second name, events, and notes. It reads and writes files in Gedcom format. 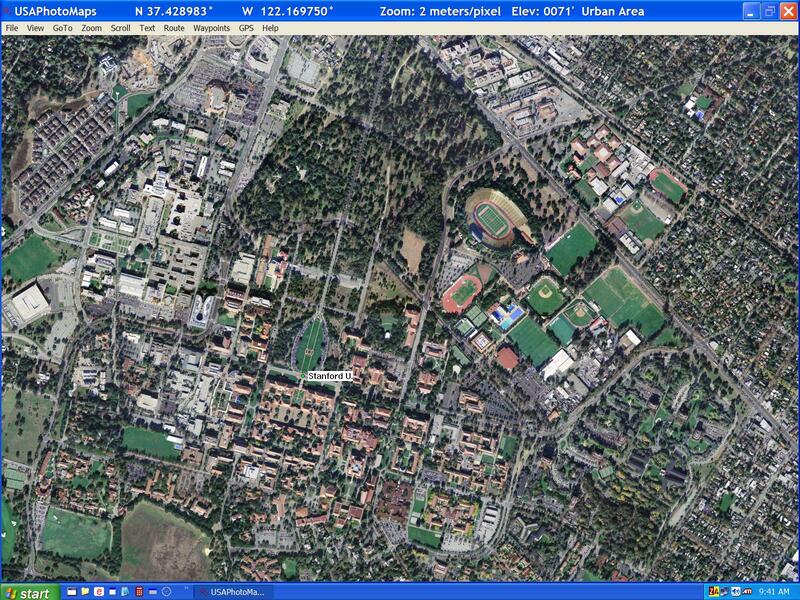 WhatClr helps changing color when pressing R, r, G, g, B, or b. Put The Microsoft Sound.wav in your WINDOWS/Media folder if it's not already there. The only luck involved is that some games can't be won because of the arrangement of hidden cards. IT'S A BETTER GAME WHEN IT SHOWS EVERYTHING. The program can play the game automatically in a fast, simple way (wins about 1 in 3 games). You can go back and forth in your game's history to try different combinations. You should win 4 out of 5 games (I win about 85% of them). You play both sides, which I prefer because I get double the practice and I always win. You can go backward and forward in a game (try everything until you get the winning combination). 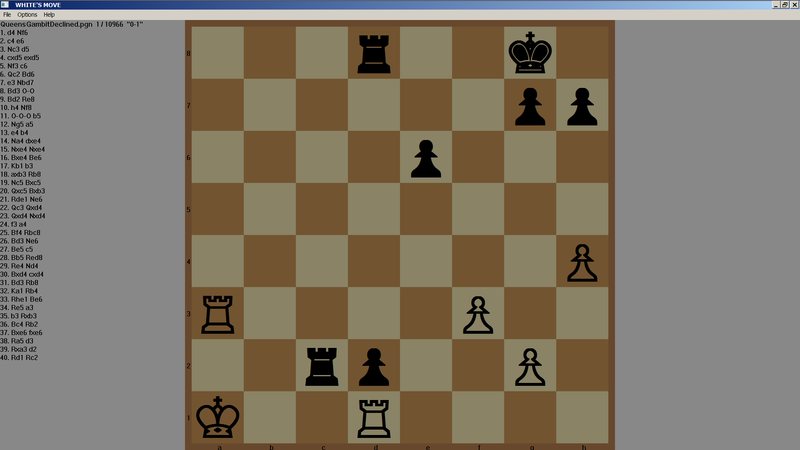 Chess games can be saved and loaded in PGN (Portable Game Notation) format. Chess pieces can be set-up anywhere on the board. Player times or plays in PNG format can be shown. The board can be rotated. ErrorSounds.zip Unzip these sounds into the Windows/Media folder to hear something other than "beep"